Right now we at Distrita like to send out a request to all out there. You tell your politicians in all cities with a higher population of 13.204 to get a tram system. Why? Gmunden and the area in Austria (Europe) is the answer. This small town Gmunden and its villages have had its tram and light-rail line since 13th of August 1894. But now things are happening! 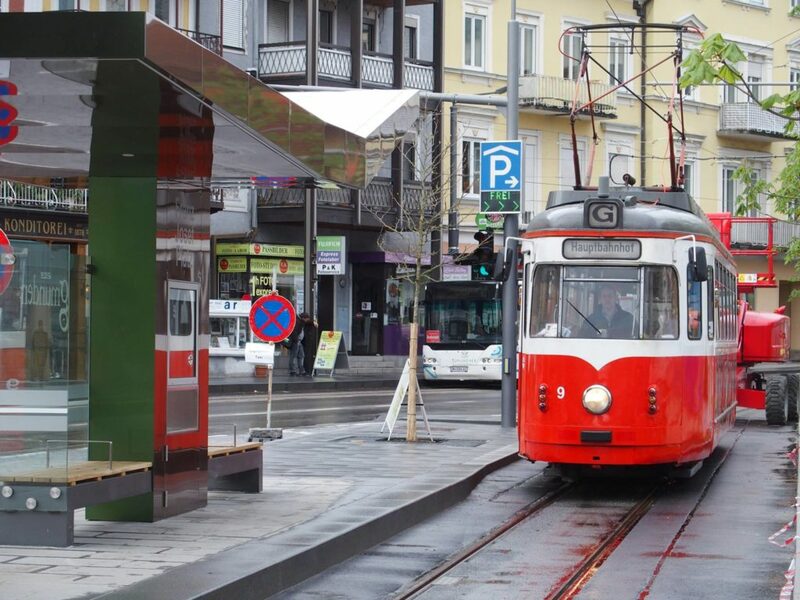 This year was the very first year when these two systems got connected and the very first time since 1975 that trams runs under the city gates of Gmunden. 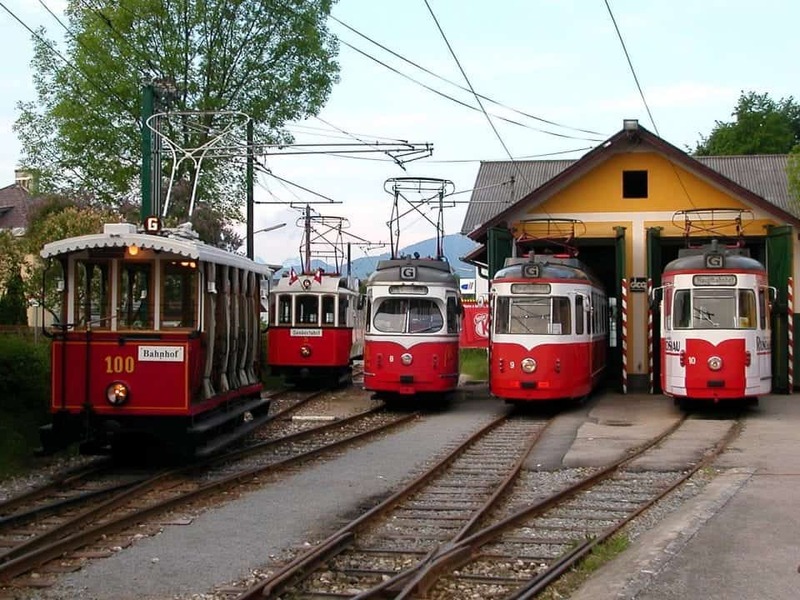 Stadtregiotram Gmunden is now expanding their classic line, which is known being world’s shortest tram line. Right now it goes to Franz-Josef-Platz. But once its finished and opened for daily traffic in 2018, then it will cross the bridge to Klosterplatz Gmunden where the other light-rail line got it’s last stop right now until next year. But in 2018, they will merge into one line. However, since 30th of March there has been test runs going on. Also a historic note happened on 11th of August this year when tram wagon named GM5 drove for the first time through Trauntor since 1975, which is Gmunden’s very known city gate. With my interest in Gmunden and it’s shortest tram line in the world. I decided to ask Stadtregiotram Gmunden regarding this historical change for the area and a very nice person took my questions and answered them as good as she could. So! Here is our questions and answers regarding this historic expansion of Gmunden city. 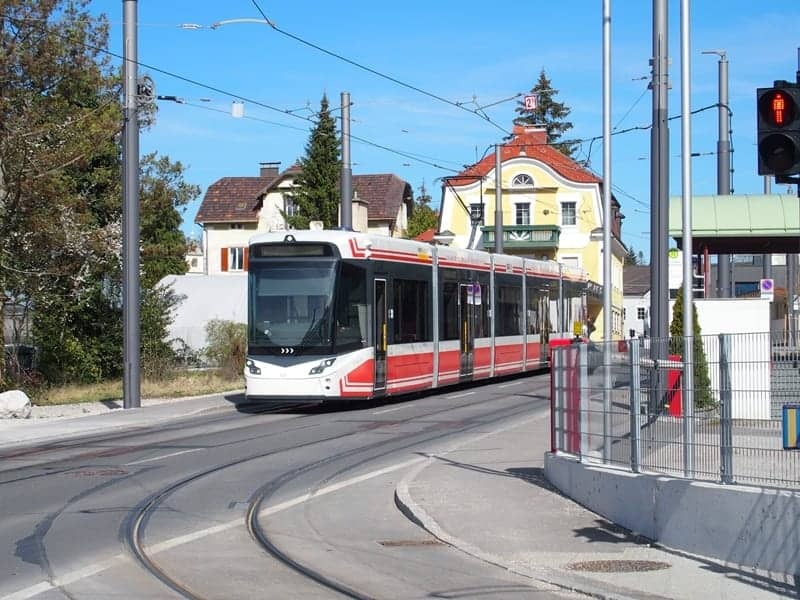 When I saw the news about that Gmunden light-rail have reached the bridge that soon will have trams on it in social media, I needed to have a closer look to this tram system and asked Stadtregiotram Gmunden, which kindly gave me answers. I asked the main question to them regarding the project, how the schedules will be and what sort of pricing the system got today? 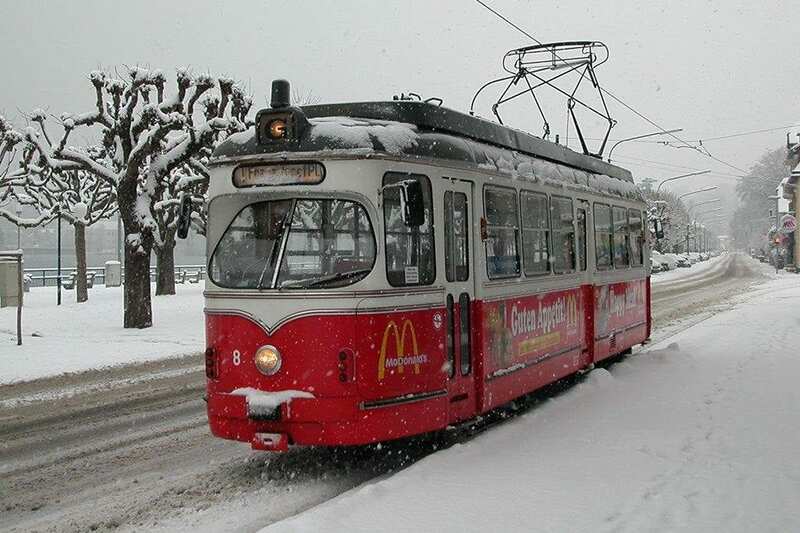 The stadt.regio.tram in Gmunden is Europe’s steepest tram line with a maximum gradient of 9.6%. Right now Gmunden’s tramway is the shortest in the world with 2.3 km. Construction work is scheduled to finish in summer 2018. Then the tram line will connect Gmunden train station, Gmunden city and Vorchdorf. Within the construction work for the tram, Gmunden also built a new bridge (Traunbrücke) and renewed the canal system, electricity supply, gas network and some public squares like town hall square and Klosterplatz. With the new constructed zones for pedestrians, bikes, cars and trams in the city center, Gmunden hopes to increase individual traffic. Allthough the extension of the tramline will be finished next year, Gmunden loves to take the tram to summer festivals already! You can also enjoy a romantic ride on the narrow gauge railway from Gmundener Seebahnhof or Vorchdorf after Kirchham. The “Bratlwirt” in Kirchham you get a hearty portion Schweinsbratl with dumplings and salad and a farmer’s schnapps. Then I continued asking more historic question. Why did Gmunden have so short line? Why a tram line? Many cities with the size of Gmunden should build such trams for enviroment and health issues everywhere. We see cities like Dublin, Ireland and Bergen, Norway where they introduced tram again that around it the pollution went down like 80-85% and the same with car traffic too. The tram line is from 1894.. that’s very old. You choose to keep the tram instead of replacing it with buses. Thats pretty nice and a nice note getting into the article also. This answer only proves that strong communities can do amazing things. 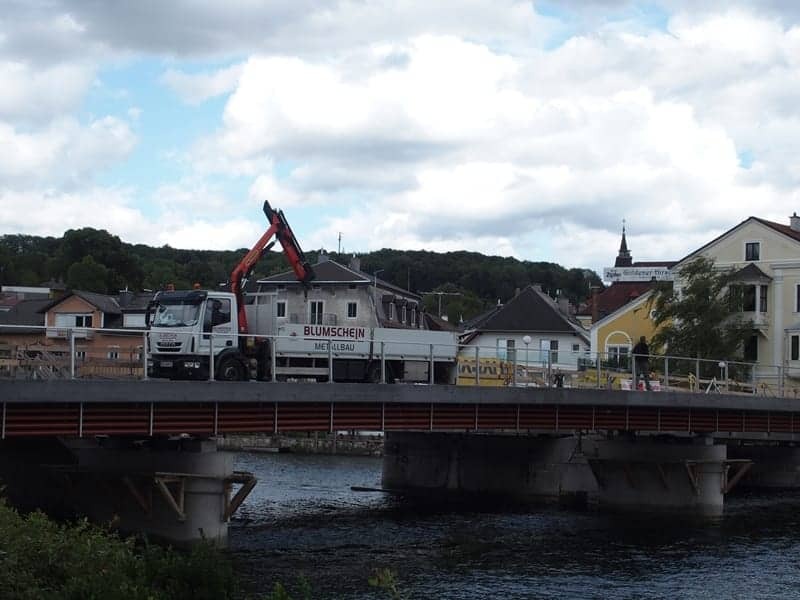 Gmunden project to link the light-rail and tram over a bigger bridge in the city center is provided with €100.000 from individuals. So much love for a tram project as in Gmunden is pretty amazing and is something that other cities should think of. It shows how much the people of the town loves their tram. It was Europe’s shortest tram line, but now it will mean something more even to the local area. It connects the railway and the light-rail completely when it will be done in 2018. This is an achievement to be proud of. For 178 years it’s been running up and down on one of the steepest tracks in Europe. And thats even with ups and downs politically regarding it too. On 30th of March 2017, you had a trial run up to Gmunden Bahnhof with the new wagons? Was this the very first trial service? 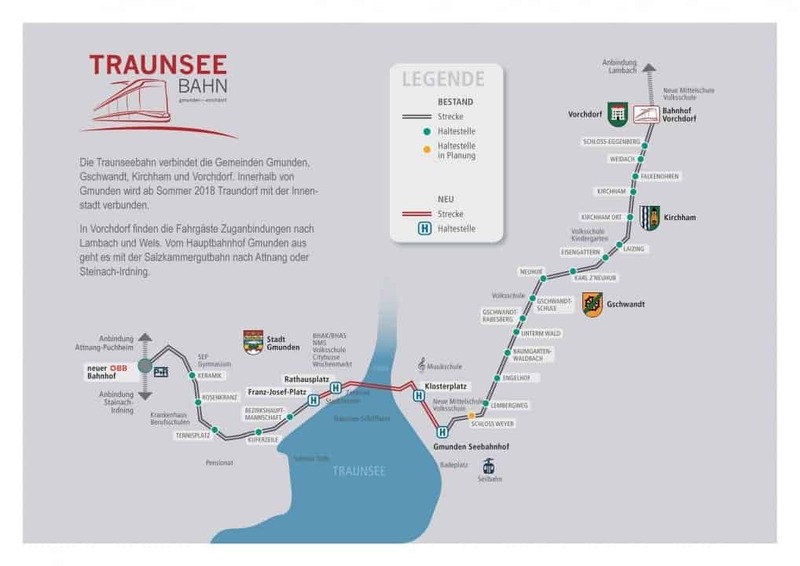 So, when its done in 2018.. the line will run from Gmunden Bahnhof to Vorchdorf ? This is correct. Right now the tram line runs from Gmunden train station Gmunden to the city centre and from Klosterplatz Gmunden (other side of Traunsee) to Vorchdorf. Next summer, those two lines will be connected and the tram will run from Vorchdorf through Gmunden city centre to Gmunden Bahnhof (connection to ÖBB trains / austrian federal/national railway system). Indeed. We still have the trial running. We got very good feedback from people so we extended the trail. In the next few weeks the tramlink needs to go back to Vorchdorf due to services. 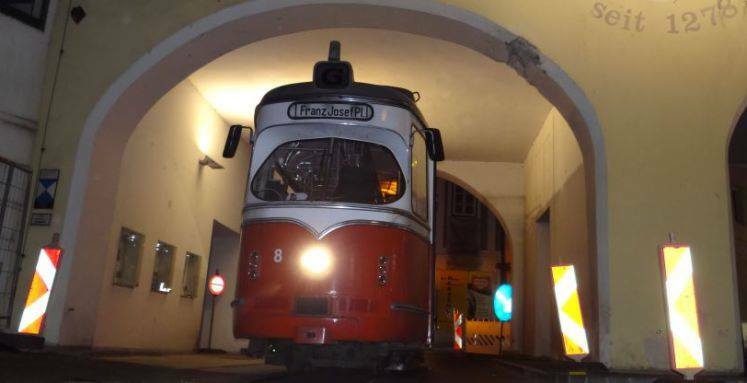 On 11th of August the tram wagon GM5 drove for the first time through Trauntor (city gate) since 1975. The Upper Austria transport authority (OÖVV) is working on the pricing right now. There will be some changes next summer. 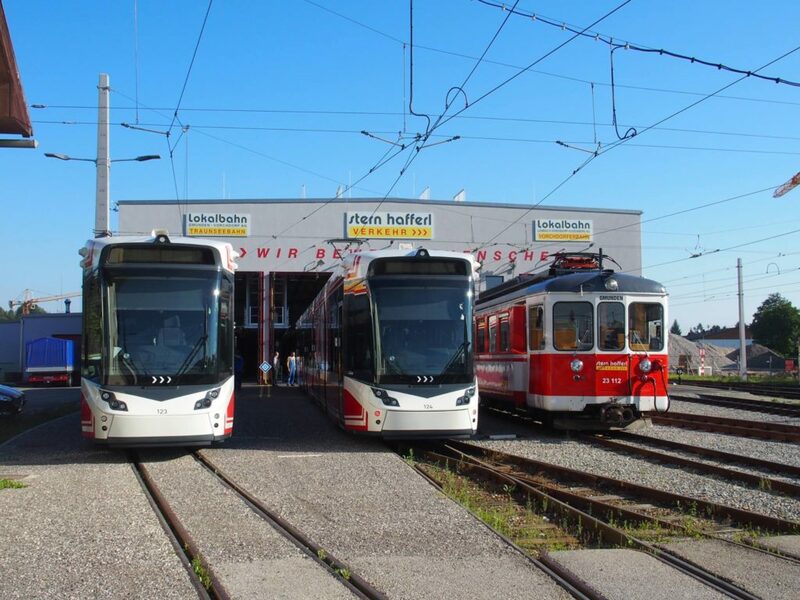 New low-floor trams started to run on the old tram stretch on 30th of March this year. Together with the older tram wagons, it will be a really nice watch when everything is finished in 2018. Franz Josef Platz have also got a total makeup. 2008 Presentation of the preliminary results of the planning of the route. A very small city in Austria it is, but with the tram and light-rail it connects more of the area for sure. The majestic Traunsee lake and it’s surrounding mountains is really something very unique. So, either you come to this place this year or next year. Here we have some links regarding staying in Gmunden and it’s area. One of the hotels sites that have many discounts is Hotels.com you can get a list of hotels in Gmunden and the majestic area. Another site is called Booking.com also have hotels in Gmunden listed too. We will be focusing on the Gmunden area more now until the launch of the new tram line that is sponsored and helped by the people of Gmunden. Hope that you liked this and Distrita thanks so much to Lisa Schmid for taking her time answering my questions. Hope that you also learned something from this article also.